The U.S. currently enforces no mandatory labeling laws on genetically modified foods. Yet we still position ourselves as the world’s most powerful nation. What kind of powerful nation refuses to empower its citizens with the rights to make informed decisions about the food they eat? These 64 countries, some considerably less “powerful” than the U.S., have mandatory labeling laws on foods containing genetically modified ingredients. You can view a very informative map of the world and the countries with and without GMO labeling laws on the Center for Food Safety’s website. The U.S., along with most of Africa and the Middle East, lags behind the rest of the world, even despite rising consumer concern and pressure on the FDA. These countries require mandatory labeling of many GMO foods and a labeling threshold higher than 1% or undefined. This includes laws with a threshold of 1% for the entire food item. 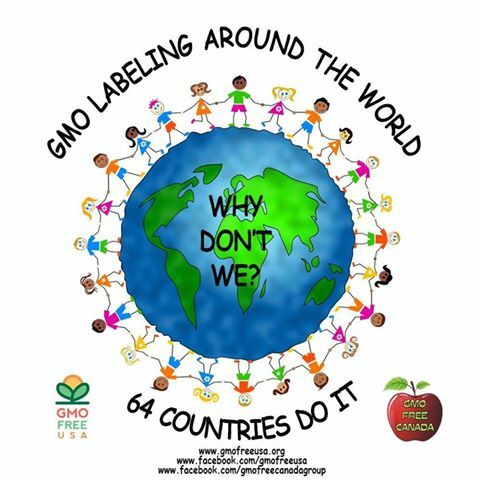 These countries require mandatory labeling of some GMO foods, but with numerous exceptions and no labeling threshold defined; or a vague mandatory GMO food labeling law that lacks implemention and enforcement provisions. < Previous Monsanto ordered to pay $93 million for poisoning local citizens with Agent Orange chemicals.